With two plants, 38 heavy duty mixers (Oshkosh and Freightliner), and an outstanding reputation, Williamson County Ready Mix (WCRM) is taking full advantage of a booming construction industry in the Southeastern United States. The company has served the area for five decades, providing its services for home building, road construction, and commercial building projects. In fact, about the only things that can slow the 50-year-old company down are downtime and early removal of tires, due to cuts and snags driving in harsh operating conditions. WCRM vehicles regularly run over nails, rebar, and just about anything else that can be found in a construction yard. Enter the GT Radial GT876 mixed service radial! Designed for heavy front axles, the GT876 specializes on durability in harsh working environments such as construction sites, as well as ride comfort and re- treadability. 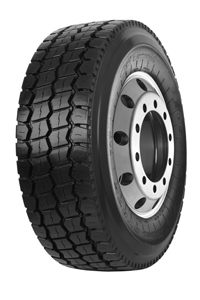 WCRM saw the advantages of the tires, putting them to the test on the majority of their mixers.